In a statement just released by Health Canada, Abbott Laboratories has announced the voluntary removal of Meridia from the Canadian marketplace. 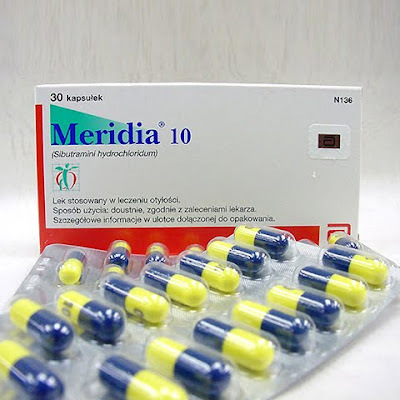 Meridia was a satiety/fullness enhancer that in concert with organized eating, helped patients to reduce their calories by allowing them to feel fuller faster. I didn't use Meridia particularly frequently. Of the 3,000 or so patients I've seen, I'm guessing I've tried Meridia out with less than 50 of them, and while it was far from a magic bullet, for some patients it had terrific benefit. The withdrawal comes on the heels of the SCOUT study which demonstrated an increased risk of serious cardiovascular events associated with Meridia use in patients with heart problems. Meridia's withdrawal means that in Canada there is now only a single on-label medication for use in the medical management of our number one preventable cause of death and thus far in the States FDA committees have voted against the approval of 2 of the 3 next generation weight loss medications. Weight loss in a bottle seems a long way away.